Turkey day is almost here! If you’re anything like me, I have guests arriving this week and our house is all a bustle to get things ready for hosting for 7 days. Hosting any guest for a length of time, takes a bit of work. With some forethought, prep can go quickly and fly by. 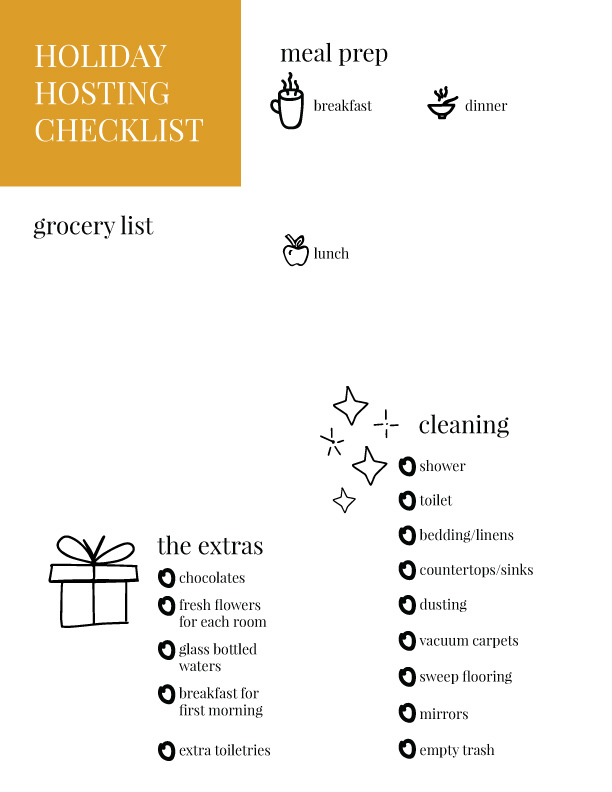 Today we’re sharing a checklist and few of our must-have extras. I’ve been binge watching the Netflix show, Stay Here, and love giving my guests the VIP treatment. It means waters in their room, a few gifts just for staying, great books to read, and some extra space in the closet. 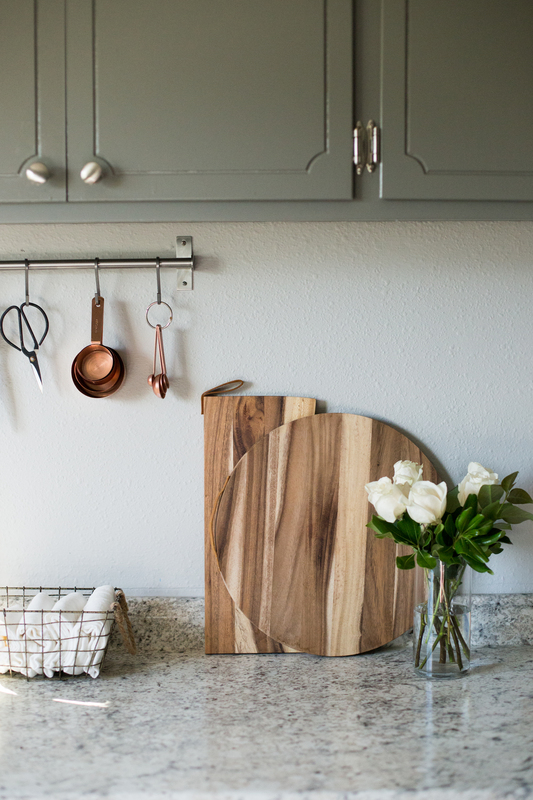 It’s the simple touches that show intentionality and go a long, long way. 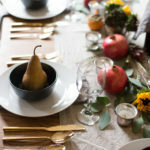 Maybe you’re hosting guests for the first time or the hundredth. Regardless, you’ll find our checklist below. Keep reading for the full printable after the jump! Awesome! Love that you included a checklist!